In Dexter's Laboratory, Dee Dee is the older sister of Dexter. She is extremely ditzy and hyperactive, and uses those qualities to sabotage Dexter's experiments and destroy his lab. Dee Dee sports a ballerina look with a rose pink tutu and ballet pumps that go squish squish. 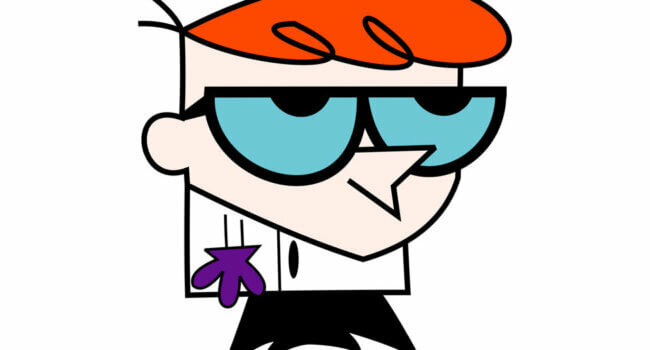 In Dexter’s Laboratory, Dexter is a boy genius who runs a secret laboratory. There he invents countless machines and conducts weird experiments, though his sister Dee Dee is always breaking in and destroying his work. His idol is Albert Einstein, and he speaks with a Russian accent, which is odd because the rest of his family has no such accent. In Dexter’s Lab, Mom (voiced by Kath Soucie) is Dexter and Dee Dee’s mother. She is a busy housewife and a bit of a germaphobe, who can always be seen in a pair of yellow rubber gloves keeping the house sparkling clean.